The 631 LSK Impactool delivers exceptional power and rugged durability in a convenient, easy-touse package. 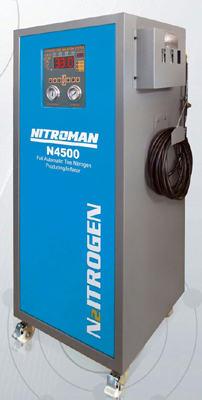 It is the perfect tool for the most demanding applications, such as truck and bus service, construction and agricultural equipment maintenance, tire changing, as well as the MRO market. Features 4,300 Nm (3,172 ft-lb) of maximum torque. The Ingersoll Rand impact mechanism with proprietary advanced metallurgy provides the ultimate in durability and reliability. 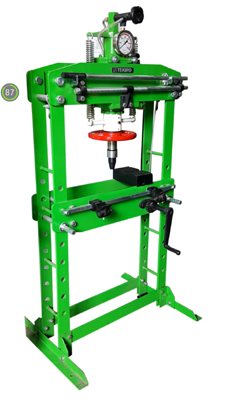 Swinging hammer impact mechanism is well-suited to wide range of air pressures. Powerful 6-vane motor delivers superior performance. Chemical-resistant boots absorb shocks and protect the tool from damage. 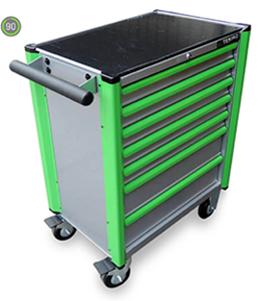 Ergonomic auxiliary handle provides excellent maneuverability. 4-position power regulator and forward/reverse control. 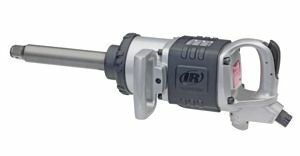 Air Impact Wrench, General Duty, 6 In. 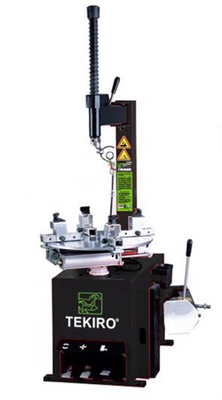 Extended Anvil, Square Drive Size 1 In., Max. 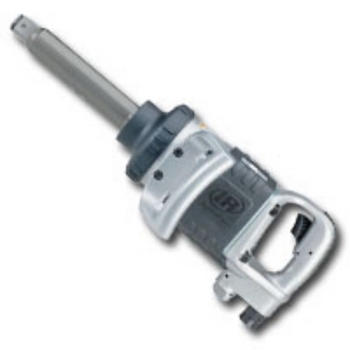 Bolt Capacity 1-1/4 In., Torque Range 100 to 1000 ft.-lb., Max. Torque 1475 ft.-lb., Average CFM @ 15 Second Run Time 10.0, CFM @ Full Load 37.0, Free Speed 5000 rpmThru Hole Retainer Type, D-Handle Style, Required Pressure 90 psi, Air Inlet 1/2 In. NPT, Min. Hose Size 1/2 In., Overall Length 20 In.Handle Type D-Handle, Aluminum Housing Material, Tool Weight 27.8 lb. 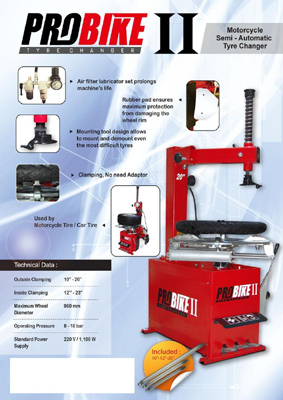 Motorcycle Semi-Automatic Tyre Changer 10" - 20"